Fox Filtration, a division of Filtration Technologies L.L.C, specializes in one business, providing high quality liquid, gas and air filtration and separation products to industry. 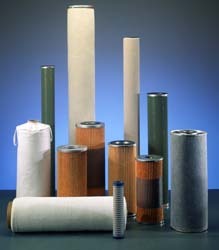 Our filter elements and filtration systems are manufactured to the highest industry specifications for quality. Fox brand filters are utilized in the manufacturing or treatment of chemicals, oils, fluids, air and gases as well as plant support equipment including, compressors, lubrication systems, instrumentation, pneumatic systems and cooling towers. We are proud to offer the broadest range of filtration and separation products and equipment in the industry. From providing our customers with the finest quality stock filters to helping them find solutions for their most demanding needs, there is no filtration problem that we cannot help solve. Whether one of our stock filters will fill needs or a custom filter is required, you can be assured of prompt delivery and the highest quality product at the best possible cost. We can customize order processing and subsequent labeling, invoicing and related documentation to meet specific needs. Our products are used in many markets, including but not limited to; chemical, petrochemical, medical/biopharmaceutical, food and beverage, microelectronics, power plants, power generation, metalworking, mining, marine, plastics manufacturing, automotive, construction, process control, oil & gas pipeline, pulp and paper, paint, ink and coatings, machine tools, semiconductor manufacturing, manufacturing, industrial machinery, fuel dispensing, engines, mobile equipment, polymer manufacturing and environmental industries.